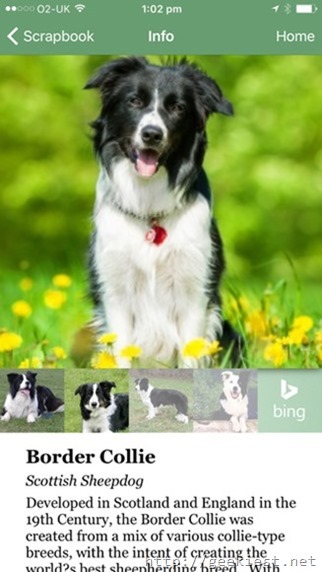 Microsoft released a new Web and iOS application named Fetch, which can find what kind of dog is it from a picture. This is a Microsoft garage project. Earlier we have covered another Microsoft Garage application named Send, Microsoft Send, an email based messaging platform. This is based on the Microsoft Project Oxford which uses artificial intelligence to do small funny things . There are many APIs available under Project Oxford. So how Fetch work ? You can upload a dog photo, or can search on Bing (just like small dog, big dogs etc. 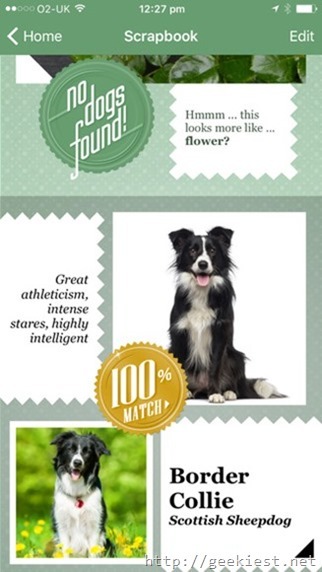 to find the photo matching your dog) and it will display the Dog breed name and the basic specifications of the breed. As you can see, I have uploaded my dogs photo and the result is given above. 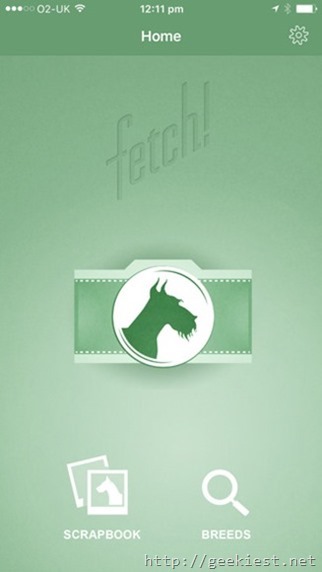 The Free iOS application named Fetch, is having a bit more features. 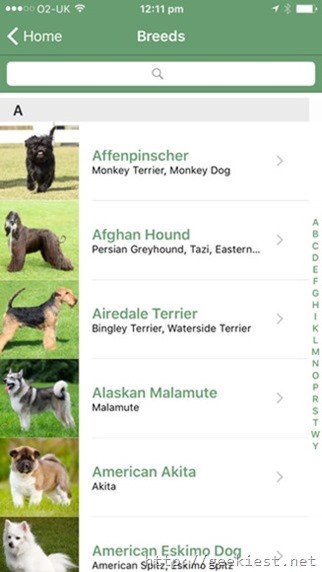 You can find your dog and also can get details of the breed. and also have an index of the breeds. There’s also an extension collection of breeds that contains information such as disposition, size, coat and what types of families are best suited for each. The application is compatible with iOS 8.3 or later and with iPhone, iPad, and iPod touch. Try the app and share your experience with us. 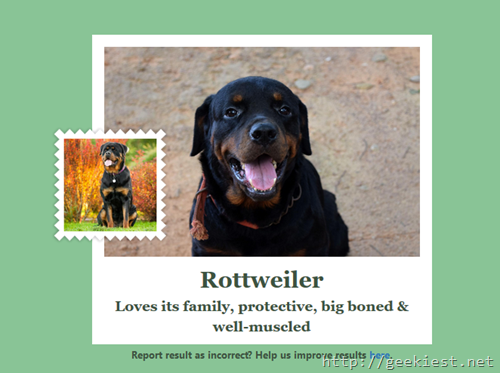 Just take a photo and know what Dog breed is it with the FREE microsoft app.